Last November massive wildfires ravaged through the hills above Sierra Nevada Brewing Company’s Chico brewery in California. Killing 85 people, destroying over 13,000 homes, and burning more than 153,000 acres, the Camp Fire soon became one of the deadliest and most destructive wildfires in California’s history. Many Sierra Nevada employees and local community members were heavily impacted by the fire. Dedicated to its employees and the local community, Sierra Nevada quickly organized a fundraiser beer for the Camp Fire Relief Fund. Breweries from around the world, including Schilling Beer Co. in Littleton, heard the “bat signal” from Sierra’s Founder Ken Grossman to assist. Ken’s idea was for breweries nationwide to brew a classic Sierra Nevada-style West Coast IPA beer called Resilience Butte County Proud IPA, with all proceeds going to the communities impacted by the fire. Suppliers donated ingredients, breweries donated their time and labor costs, and wholesalers and retailers agreed to carry the beer for free. All they were asked for in return was a donation of 100% of the sales to the Camp Fire Relief Fund. Over 1,500 breweries across the world have volunteered to brew Resilience Butte County Proud and donate 100% of the sales to the Fund. 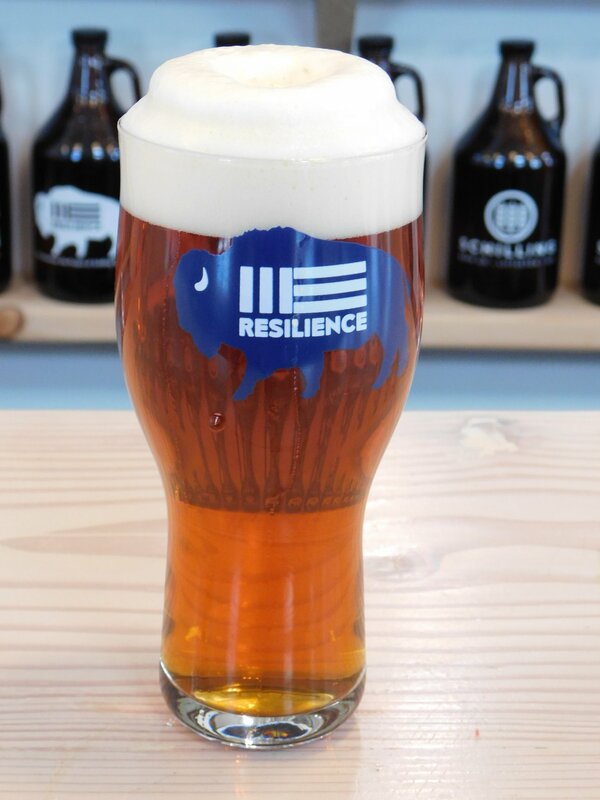 However, Schilling Beer Co. was essential to the effort getting off of the ground, and one of the only breweries to actually brew Resilience IPA as a collaboration with Sierra Nevada. “Sierra Nevada Brewing Co. approached us in December to use our Resilience trade name to initiate a nationwide campaign to raise funds for those impacted by the devastating Camp Fire in Butte County, CA. Despite a crazy schedule that had Ken (Grossman, Sierra’s founder) zig-zagging across the country to promote the Camp Fire fundraising campaign, he generously made time to brew with us this batch of classic, Sierra-style West Coast IPA,” says Jeff Cozzens, the CEO, and Co-Founder of Schilling Beer Co. " In the world of craft beer, Ken is one of the most influential people in the business, and a founder of the craft movement. 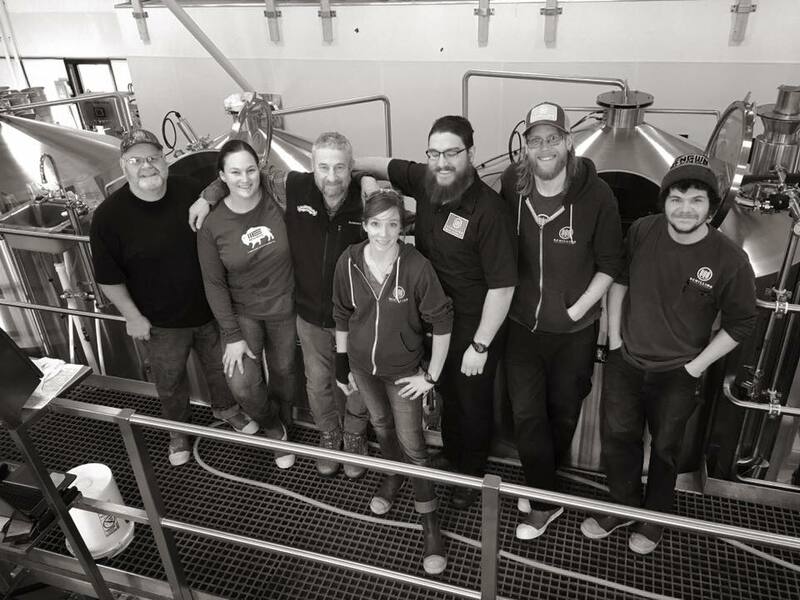 The opportunity to brew with him for such a great cause was simply incredible." Opening its doors in 2013, Schilling Beer Co. has quickly become one of the foremost breweries in New England, winning awards for both its brewpub and beers. One of its beers, Hanse, was just voted “Top-5 in the world” in Rate Beer’s pale lager category. Co-founded by a group of beer-loving brothers and friends, Schilling is mostly a family affair. Jeff Cozzens moved to New Hampshire’s North Country in 2005. His brother Stuart and friend John Lenzini soon followed, when “the allure of hiking and fly fishing in the White Mountains” overpowered them. Schilling Beer Co.’s Head of Brewery Operations, John Lenzini, is a jack of all trades. He’s a chemist, educator, and former resident of beer-loving Germany and Austria. Lenzini has been brewing beer since grad school in 1996, and the Cozzens brothers have been drinking it since then, too. In 2018, Chris Deapo joined the team from Los Angeles as Head Brewer, bringing a passion for spontaneous/sour beers to Schilling. 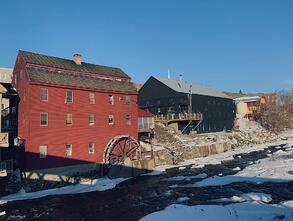 Schilling Beer Co. is located in the historic 18th century Grist Mill on the Ammonoosuc River. “The location of our brewery was a very deliberate choice. The brewpub epitomized the rugged character of the area unlike any other, and the riverside setting on the banks of the Ammonoosuc is absolutely unique,” says Cozzens. Schilling Beer Co. brews primarily progressive European-inspired beers. “We wanted the appearance of our (new) building to reflect a modern interpretation of European farmhouse design. The design of our brewpub captures the rusticity and history of the art of brewing, tying in town history, while the production building and store is a statement about progress that offers a state-of-the-art workspace for our crew,” says Cozzens. Schilling Beer Co. has a rotating list of beers on tap, so you’ll need to go back multiple times to try them all. From Czech-style Pilsners to Bavarian-style Hefeweizen to even a fruity gose, you’ll easily find something to satisfy your thirst. Not to mention, the food menu is just as exceptional. Next time you’re in town with a hankering for a beer, stop by Schilling Beer Co. for a delicious beer on tap. Make sure you take a peek out the windows as you never know when you might see a moose float by on an ice floe. And, yes, that has really happened!